Hard work makes dreams work. 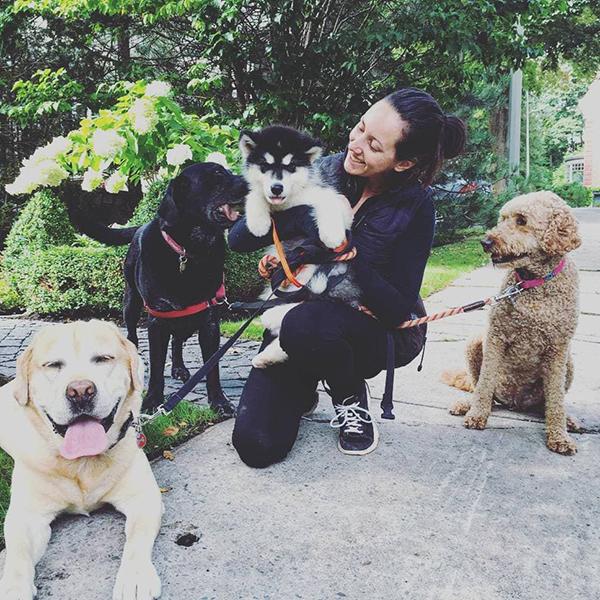 Zoë’s lifelong passion has flourished in to a successful canine wellness company dedicated to helping dogs and humans live their best lives together. Zoë has developed industry-leading insight into dog behaviour, temperament and drive. 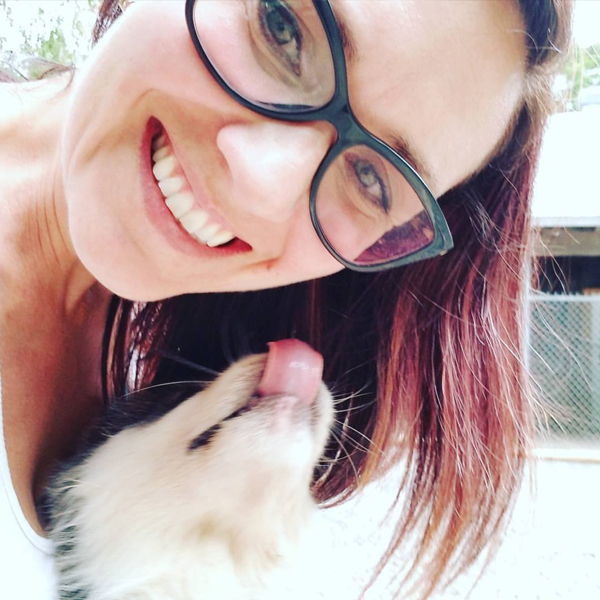 Zoë’s background in clinical psychology means her clients get the best of all worlds: a professional who can communicate with, and understand, both humans and dogs. First trainer in Quebec to earn the Certified Pet Dog Trainer (CPDT) designation. Co-founded the PACCK Foundation to raise and train Assistance Dogs for children with Autism. Founded Tonomi Alaskan Malamutes - breeding Malamutes with sound temperaments specializing in service and therapy work. First breeder of Alaskan Malamutes in Canada to earn the title of Avidog Associate Breeder. 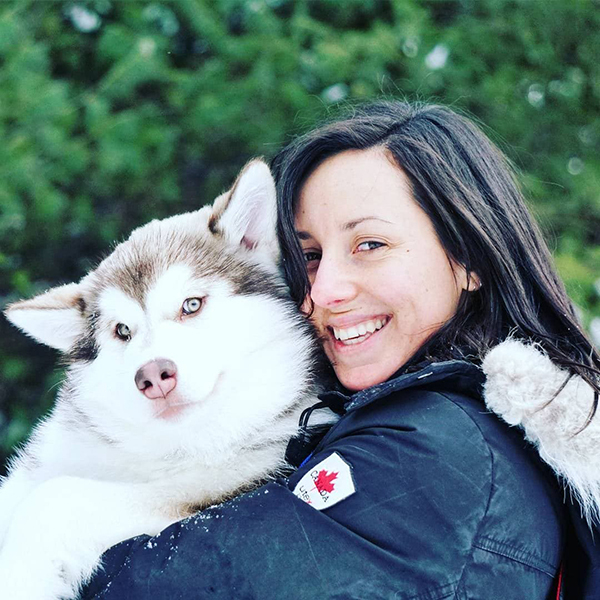 First person in Quebec to earn the title Certified Dog Behaviour Consultant (CDBC) from the International Association for Animal Behaviour Consultants (IAABC). Holds certifications in Aromatherapy and Culinary Nutrition. A member in good standing with the Association for Pet Dog Trainers (APDT), the Canadian Association of Professional Pet Dog Trainers (CAPPDT), the Pet Professionals Guild (PPG), the Canadian Kennel Club (CKC), and the Alaskan Malamute Club of Canada (AMCC). Emilie has been an integral member of the Pup Wellness Team since 2013. Her lifelong love of dogs, eagerness to learn, and drive to improve her dog handling skills has made her an important leader in the Pup team. Emilie brings her heart and soul to her work. She imparts to every new member of our team foundational Pup values: working with dogs teaches us invaluable lessons about who we are, and the energy we bring shapes the experience with our dogs. Successfully raised a Service Dog prospect for the Mira Foundation. Graduated with a Bachleor of Arts from the University of Montreal and UQAM with a triple-minor in Classics, Anthropology and Native American studies. Earned the title of being the 1st Associate Breeder with Tonomi Malamutes with plans to co-own her first show, breeding and therapy dog prospect in 2019. Working towards her Certified Pet Dog Trainer (CPDT) designation through the Certification Council for Pet Dog Trainers (CCPDT). If you are great with people and want to develop a career with dogs, we’d love to meet you!